Are you after an innovative solution to store your nail polishes rather than them being all over your bathroom bench? The Makeup Box Shop has multiple products to store your nail polishes? The Makeup Box Shop has the biggest range and best value nail polish storage solutions in Australia. 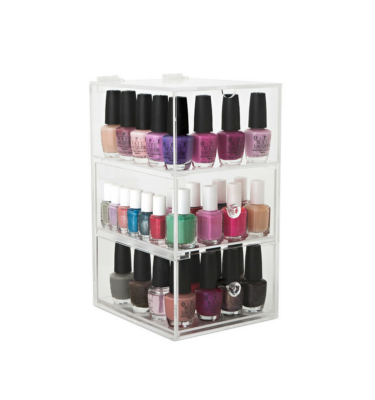 All our nail polish organizers are made from high quality durable and clear acrylic. Designed not only to look great but also designed so you can see the nail polish you are after quickly and easily. The Makeup Box Shop was the first in designing and manufactuing the Nail Polish Tower. 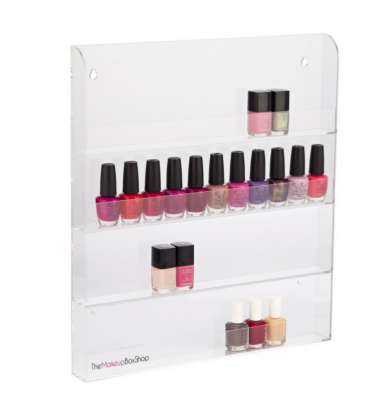 This innovative product stores you nail polishes upright in acrylic drawers. 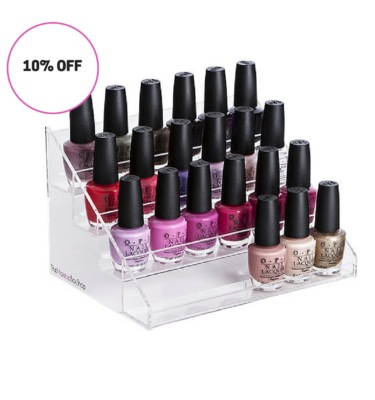 This product also boasts the flip top compartment, perfect to store those oversized items or more nail polishes. This products comes in both the Original and Glamour handle design that the Makeup Box Shop is famous for.